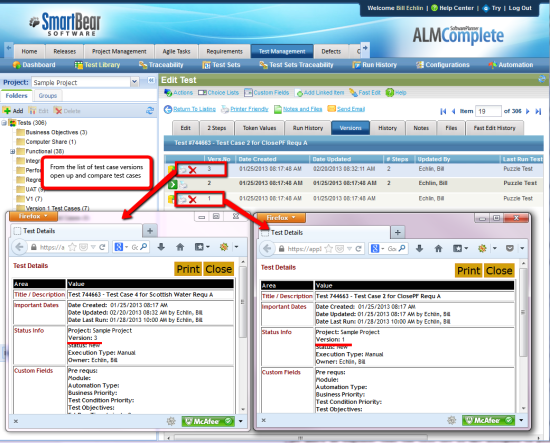 With the release of the 9.8.1 version of QAComplete and ALMComplete SmartBear software have included two new key test management features. 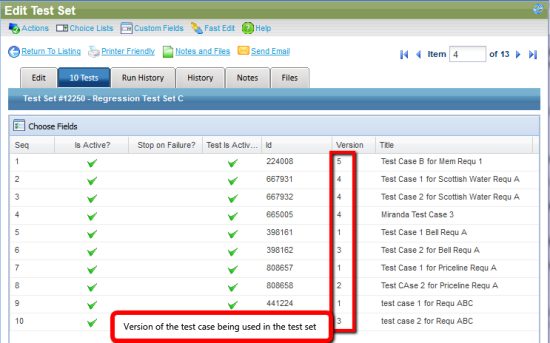 The first is a versioning feature that allows you to select which version of a testcase is used in a run. 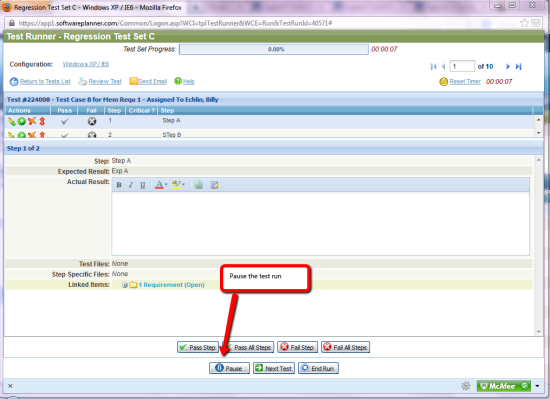 The second is an assignment feature that allows you to assign at the test level. Lets look at both features in a more detail. 1. listing the versions and select which version should be used in the subsequent runs. You can roll back to a previous version too (without deleting or removing any of the later versions). These enhancements work well within the overall process that QAComplete imposes and work with little overhead in the day to day test management activities carried out by the QA engineer. They sit there in the background if you don’t need them but provide smart version control capabilities to help you should you need them. In previous editions of QAComplete once you’d assigned a run to a user. No other user would be able to edit or update this once it’s started. With release 9.8.1 there is now the capability for other testers to pick up runs and continue with them. You can also assign at the testcase level too (more about that later). However, now with the 9.8.1 release if the engineer that starts out with the run pauses it, other engineers can then come in and pick it up to complete it. 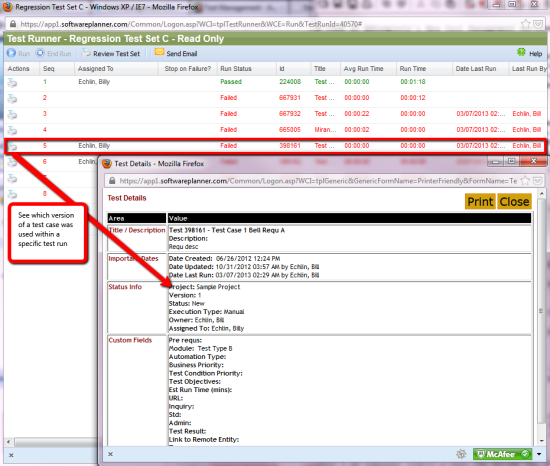 You can see this in the following screen shot where an engineer that the set is NOT assigned to picks up the run. So if the person who starts the run pauses it, any other tester can come in and pick up that run. It does depend to a degree on the person who starts the run actually taking the time to pause it. Having said that, if you don’t complete a test management run it’s paused automatically which means others will be able to pick it up. 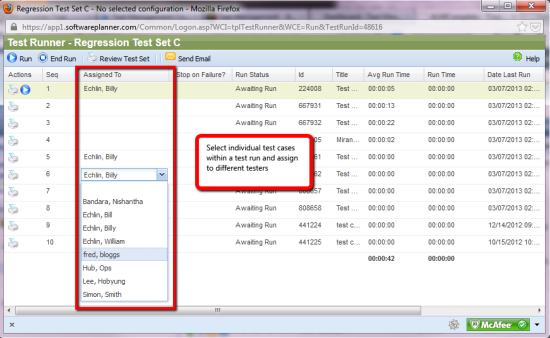 Adding to this assignment capability is also a feature which allows you to assign at the testcase level. So whilst the set is assigned to one person you can come in assign individual testcases to different QA engineers for a run. There are also a few other neat features that have been added recently that will be of interest to the tester. There is now a Test Run History which allows users to view and sort all runs that have been executed. This gives you the ability to delete, sort and view runs with ease. 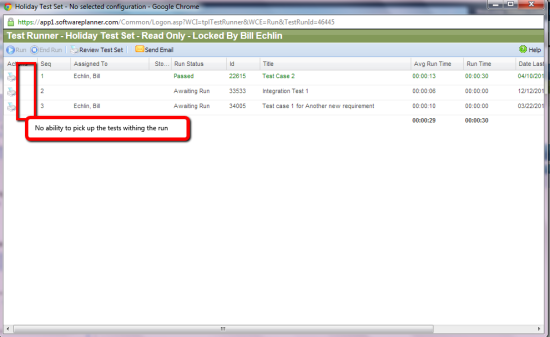 Within the testcase listing area there is now a new ‘Create Test Set’ button. This allows you to search for cases (with all sorts of complex search criteria) and quickly include the tests you’ve found in a new set. All in all this new release of QAComplete contains some pretty important updates to the test management capabilities provided by the tool. Capabilities which will certainly make some big differences to the QA team that demands advanced versioning and assignment capabilities.